Decorate for Valentine's Day with these pretty Cupid wings! Personalize it with someone specials name for a great gift idea! 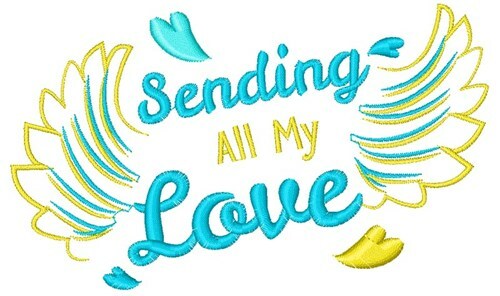 Windmill Designs is happy to present Sending All My Love machine embroidery design which has 6293 stitches and is [101.62 mm x 60.98 mm] large. If you would like to view more embroidery patterns please search on our embroidery designs page.